Trinity Mirror has announced the closure of the Wirral News - saying there is no longer a "viable, scalable or long-term future" for free print products on the Wirral. The bi-weekly title, which still distributed around 100,000 copies just four years ago, will cease publication in July. Announcing the closure, the regional publisher blamed a print title recently launched by Wirral Borough Council had contributed to an "increasingly crowded" marketplace. The council launched monthly freesheet Wirral View last October and distributes it to every household and business in Wirral. That was despite the government stating that councils should not "undermine local democracy" by publishing their own newsletters more often than quarterly. 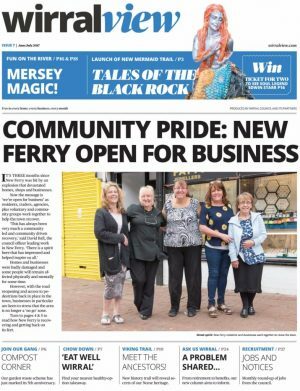 A statement from Trinity Mirror said: "The Wirral marketplace has become increasingly crowded with free print products with now even Wirral Borough Council producing a monthly free print publication themselves. "We believe that there is no longer a viable, scalable or long-term future for free/giveaway print products within the Wirral marketplace and have therefore, decided to bring forward our digital plans and ambitions which will benefit readers and advertisers alike. 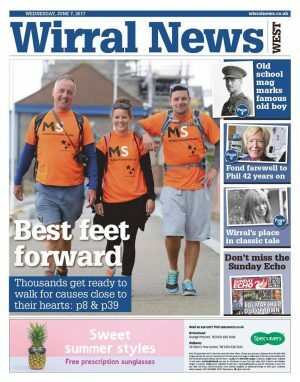 "We have made a number of changes to the Wirral News operating model to extend its life whilst we concentrated our efforts and resources in developing and growing a digital audience of unrivalled scale and quality, targets which we continue to surpass." The title's former website, Wirralnews.co.uk, currently redirects to the Liverpool Echo. The statement added: "The sheer size, quality and targeting capabilities for advertisers of our liverpoolecho.co.uk audience and its penetration on Wirral and Merseyside now provides modern, bespoke and compelling digital solutions for advertisers as well as continually updated news and video content 24/7 for readers." Wirral News' former competitor, Newsquest-owned Wirral Globe, distributes over 88,000 copies a week.